Adu Puli Aatam is known by its different names - Tiger goat game, Aadu huli aata, Bagh aur bakri. Ancient Europe had a version of this game called Halatfl, where foxes are pitted against geese. 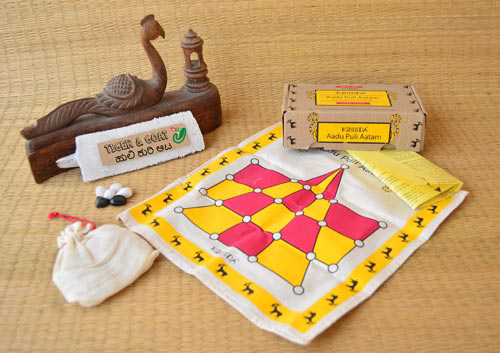 Adu Puli Aatam is available on a canvas game board with 3 black stones and 15 white stones.